Create anything you can imagine. Explore the mighty mountains and living oceans of infinite worlds, expanded further by free game updates, amazing community-made maps, servers, thrilling mini games and more! Survive online with friends who are on console, mobile, and Windows 10, or share the adventure at home in split-screen multiplayer. This collection includes the Minecraft base game, 700 Minecoins and the Starter Pack DLC. 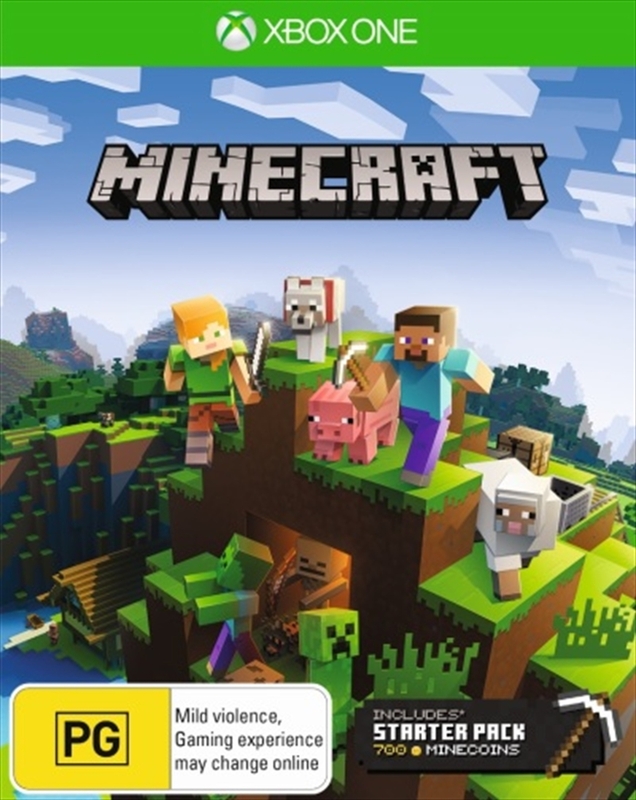 Minecraft Base game allows you to explore the mighty mountains and living oceans of infinite worlds, amazing community-made maps, servers, thrilling mini games and more! The Starter Pack DLC features an amazing Greek Mythology Mash-up, Plastic Texture Pack, Skin Pack 1, and Villains Skin Pack. Use the 700 Minecoins included to get maps, skins, texture packs and more from the in-game Marketplace!